It’s hard to think of a cigar company that has had the success in just over ten years that Tatuaje has enjoyed. Tatuaje has released numerous cigars that have had both commercial and critical success. That makes the personal cigar blend of Tatuaje brand owner Pete Johnson worthy of extra consideration, which is what his Black Label blend is. The cigar was first released for sale in 2007 in a Corona Gorda size that came in ceramic jars. I’ve been fortunate enough to smoke quite a few of those original Tatuaje Black cigars (which my colleague gave our highest rating). While (regrettably) I didn’t buy any when they were first available, I’ve been given more than a few over the years from someone who bought multiple jars. That hasn’t stopped Tatuaje, or Pepin (who makes Tatuaje for Johnson), from putting out excellent cigars. Nor has it prevented the Tatuaje Black from being reissued in 2011. In recent years a variety of sizes have been released, including this Robusto, which is offered in three-packs at Tatuaje events. 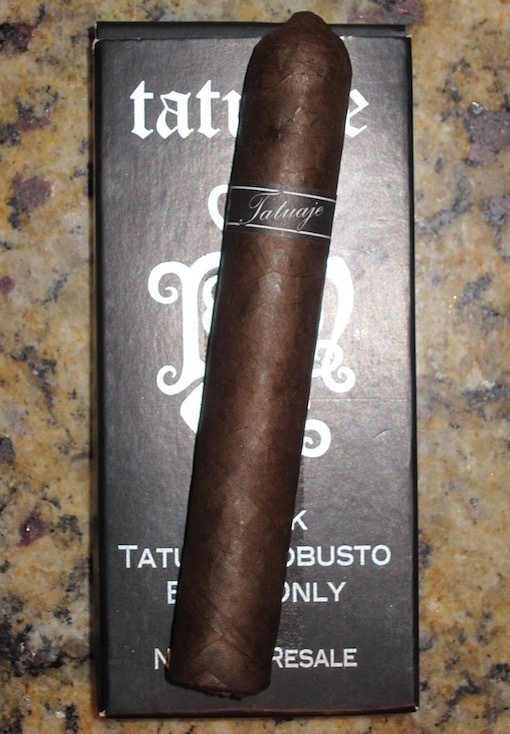 Currently, a Tatuaje Black Petit Lancero is a limited, though regular, release. A new Corona Gorda, this time in a melamine jar, was released last year to celebrate Tatuaje’s tenth anniversary, though you’ll still find that available at some retailers. The Black Label, according to reports, is a Nicaraguan puro with a Criollo wrapper. The well-constructed Robusto features powdery medium-bodied flavors. Bread, oak, and sweet cinnamon dominate with underlying maple syrup notes. It’s superbly balanced, but the sweetness sets it apart, providing an extra layer of richness that resonates beyond the more traditional layering of earth, leather, and spice. The Robusto, on the other hand, seems to be the best of the bunch when it comes to the recent-era Tatuaje Blacks. Given that it raises the already high bar, the Tatuaje Black Robusto earns a rating of five stogies out of five.